As a child Moshe (Michail) Milner (1886-1953) sang in the choirs of famous Chazzanim, including Nissan Belzer und Jakov Morogowski, later with Abram Dzimitrowski at the Brodsky Synagogue in Kiev. The financial support of the Brodsky family enabled him to attend the Kiev Conservatory. In 1907 he was admitted to the St. Petersburg Conservatory, where he studied piano and composition until 1915. Under the influence of Susman Kiselgof, Milner became in 1911 affiliated with the Society for Jewish Folk Music, which later published several of his works. 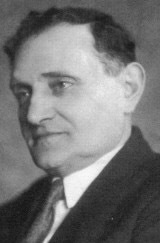 In 1923 he conducted the première of his opera "Die Himlen brenen" - the first Yiddish opera in Russia; after two performances it was denounced as reactionary and forbidden. 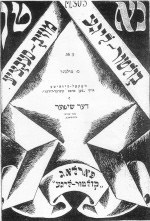 In the 1920s Milner wrote incidental music for different Jewish theaters: the Hebrew theater "Habima" (Moscow) as well as for the State Jewish Theaters (GOSET) in Moscow, Charkov and Birobidzhan. In the 1930s he also was musical director of the Jewish Voice Ensemble (Evokans) in Leningrad. Among the composers of the New Jewish School Milner stands out through his vocal recitatives based on typical intonations of the Yiddish language.